Longing to blog this food. Cant deny that they serve the best porridge in town! It's worth paying for this bowl of porridge that cost only RM4.50! 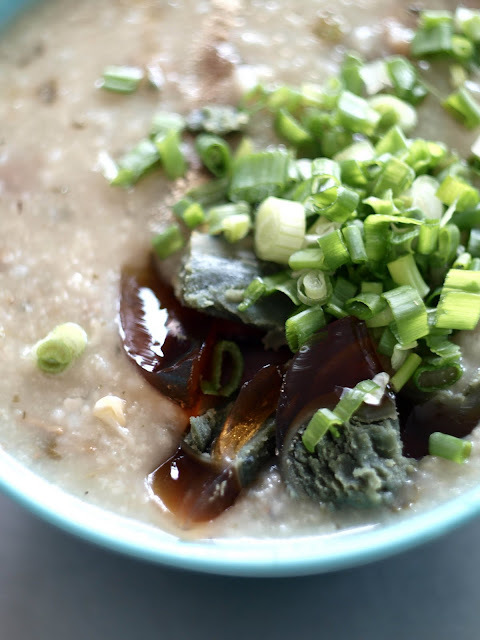 The porridge is rich in ingredients - century egg, dried oyster, groundnuts, and black mushrooms~ Can't get this type of ingredients for this price! 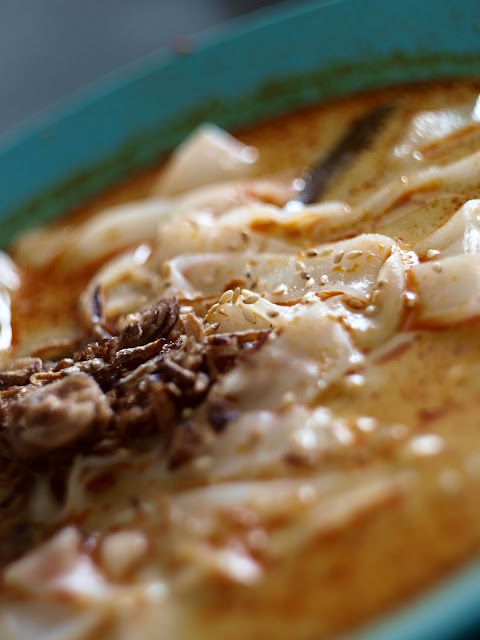 They also serve curry chee cheong fun. 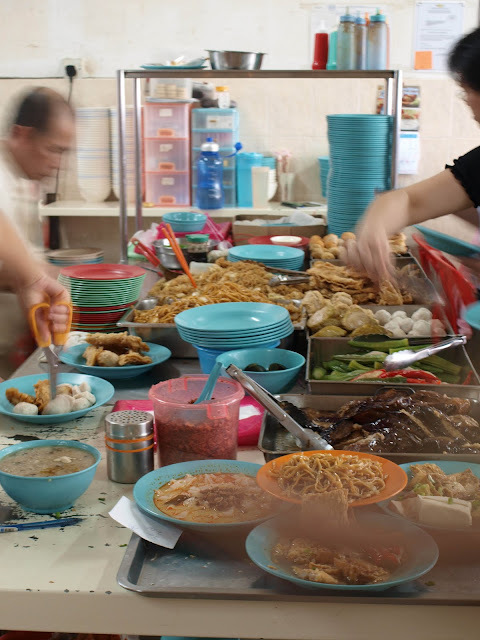 RM2.50 for a plate. It is worth ordering for those big eaters whom can't fill their stomach with just a bowl of porridge! 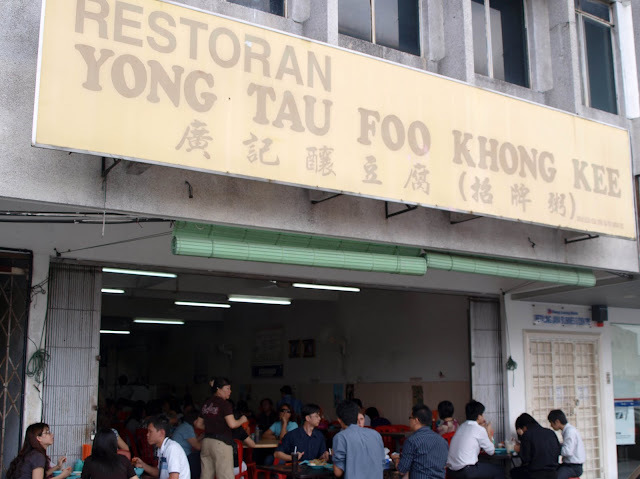 RM1 for a piece of any yong tau foo. They have a wide variety of choice. 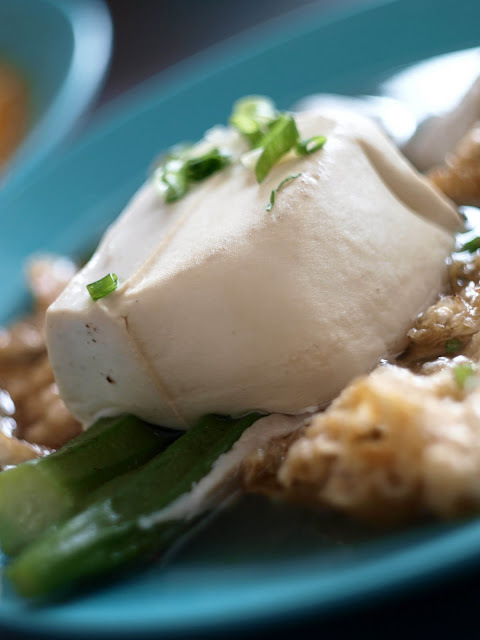 The fish paste used to make the yong tau foo is home-made, 100% original! is nice to hear it.